While I have seen plenty of adorable clay mushrooms adorning terrariums right and left, Andrew Craig Williams takes the idea to a new realm with glow in the dark clay! I think it's such a fun idea. 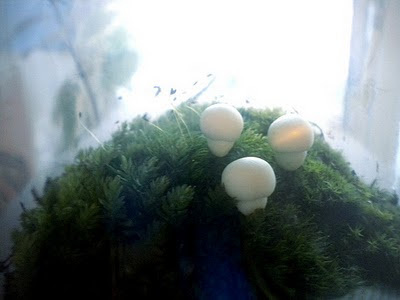 Very Princess-Mononoke-forest in a bottle. I would like to know if they do really glow at night?